Well I have now used your tail and I got many favourable comments about it. 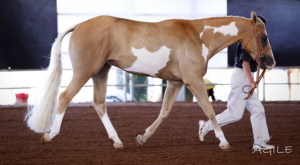 Here are some photos of my gelding Tunza Gold with the tail in at theAustralian Paint Horse National Show where he won 2 yr old WP Futurity andnumerous National Champions. Not that I am bragging....hehe. Colour match was perfect. Cheers Mel. I bought a tail from you last year and so did my Mom. We just wanted to tell you again how much we love our tails and give you an update. 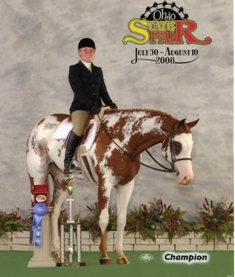 You have a couple of photos of my appy up on your comment page under the 5/29/07 testimonial... there is a before and after photo. 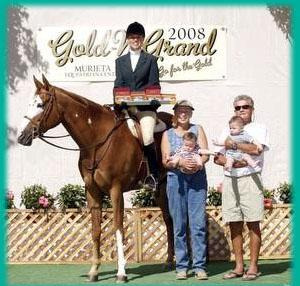 We ended up winning Reserve Champion in Western Pleasure in 2007. 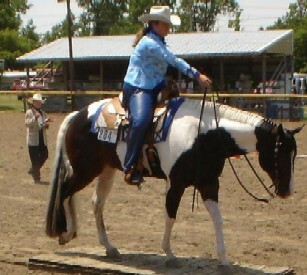 I think our tail from "The Show Pen" helped to complete our look and made us winners. 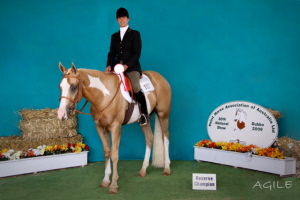 My appy also won "Horse of the Year 2007". Hey...I was helping one of my clients with the tail that was purchased from you the other day and was very impressed. Typically we order tails from Custom Tails in Iowa for almost double the price. I had told her to order the tail long because we typically end up a few inches short. Well I ended up cutting almost 5 inches off of your tail so it wouldn't drag on the ground! Also, very impressed with the quality of the hair. Just want to say thanks for the great tail! We had purchased a white tail from you about 3 years ago - it was damaged and your repair of it was fantastic, so when I needed a tail for a new horse, for sure we were coming back to your company. this is the third tail I have bought from the Show pen. I have been extremely happy with the product and they match my horses tails perfectly. I wanted to thank you very much for your great customer service! 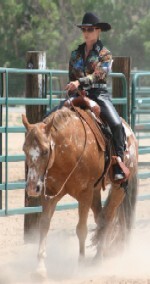 I am happy to say that you were correct, the first tail I received indeed was the best to use with my mare. After washing and blowing drying it, when I put it on her Saturday, you were hard pressed to tell the real from the "other". Again, thanks for your help with this. I truly appreciate your kindness. These guys bent over backwards for me and I appreciate it! I needed a hard to match tail, and they sent me several. The product was good, the price excellent. Thanks!! The Show Pen was very quick and friendly. The tail arrived right on time. I told them I needed it for an upcoming show, and it arrived with ample time to spare! The web site was user friendly; I had no idea what kind of tail I should buy at first, but they had clear, insightful explanations. Thank you very much! I have tried the three tails that you sent me. The mixed tail was perfect!!! I am so happy that it matches, it was going to be a tough one to match. I will tell everyone about the wonderful service I received from your company from the first email I sent! Thank you again, it really was a pleasure! The natural loop is awesome. No big cap at the top and looks so natural! Easy to put in just 2 or three small braids and your done! I'd buy another one over a cap/slide on anytime.. I bought the natural loop extension. I am very challenged when attaching a tail and forget trying to french braid. These tails are super easy to put on , stay in and look very natural. 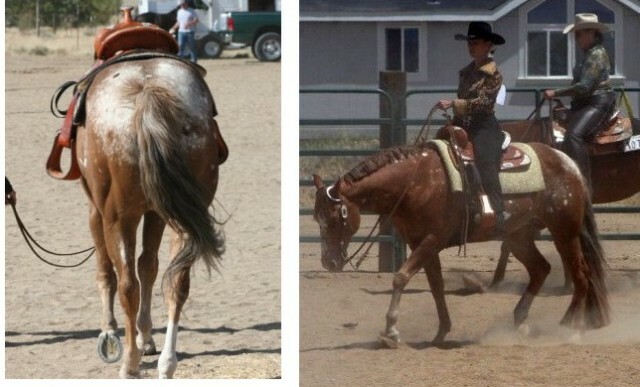 My gelding uses his tail alot when I correct him. 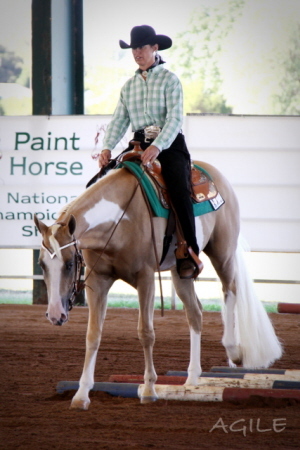 At the last show he was horrid and I did major correcting, during which he would sometimes wring his tail. I also was making him back up alot. The tail stayed in during the whole ordeal and several people came up and asked me if that was his own tail. They couldn't believe it was an extension as it looked so natural. Just wanted to let you know that Pepsi's tail looked amazing! I am sending you a picture. Unfortunately my camera had some problem and it is not as clear as it should be but you can see how beautifully the tail extension blended in with her tail. We had two people stop and admire her tail. They thought it was real until we said something. THANK YOU again for all your help! Our instructor really likes your tail and I gave her one of the order forms with pictures you shipped with the tails. She said your tails would be great for her halter horses. 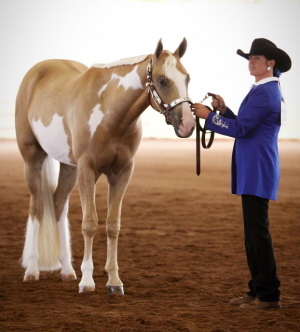 Hello, the tail is just gorgeous and now my mare is too. 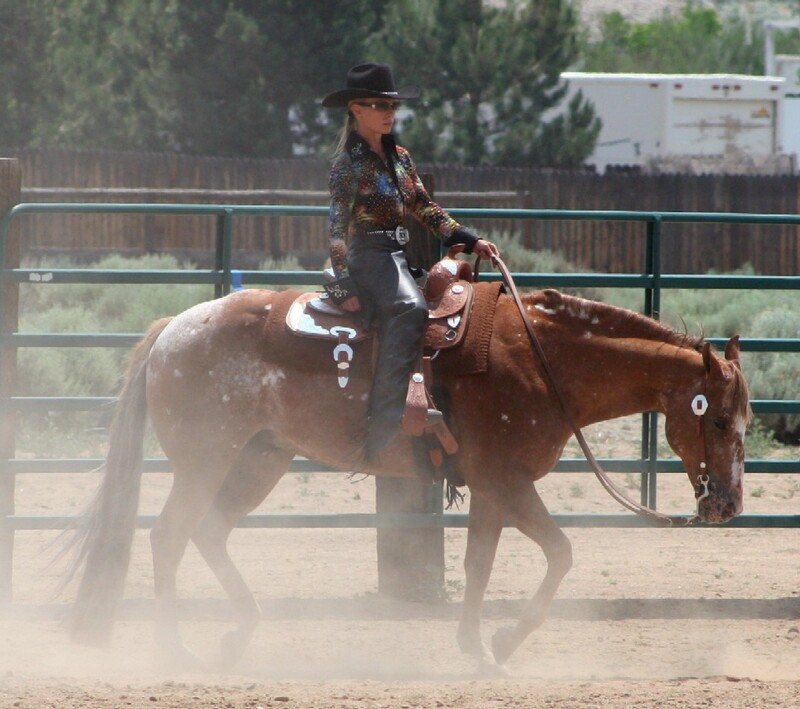 She looked so high in the hocks and something was just missing! The 3/4 wrap-around tail works perfectly. I'm just so pleased. webpage was the nicest I found explaining almost everything you would need to know. Your pricing was also the most reasonable. I spoke to the very nice lady who worked your stand atthe Equine Affaire in Columbus Ohio. She was very helpful and convinced me that the tail I ordered would be the best for my horse who lifts his tail when I ride. The tie in one I have just looks funny when I ride! I look forward to trying my new tail! Just to let you know I chose your company because the gentleman at the Hoosier Horse Fair was very informative and helpful. Also, this if my first artificial tail and I am really impressed with your pledge to customer service! Thanks again. The tail is wonderful and just the right color the fading to the lighter color at the bottom is what she needs. I had a man that makes tails look at her tail and said it was very unusual. Your tail matches better than anything he had. My daughter loved the tail. It fit perfect and the color was also perfect. . Thank you for the wonderful tail extension. Twiggy will no longer look like a 16.2hh weanling!!!! Just wanted to tell you that the Tail Extension is Perfect! It got here just in time for the show, I will definitely be buying from you again. Received the tail just in time and what a Perfect match too. Thank you for saving the day for my daughter!!!!! She had a great show!